We Stay OFF Roofs When We Clean Them!!! The Process we use to clean roofs allows us to NEVER step foot on your roof! NO chance off breaking title , NO people falling off roofs! "My son's company came out on Christmas eve an pressure cleaned my whole house and driveway , although it was free and my christmas present, my son and his crew did a great job. I will and have recommend him for bunch of friends. Thanks billy , did a great job, and great present!" " I have to say that Bill did an excellent job on my home! Before I had black streaks on my roof, mold building up on my driveway, and my pool cage was filthy. There was instant results when he was finished, I noticed a huge difference right away. Everything was so clean and he also protected my plants and nothing was damaged. Very nice and honest guy and professional about his work. I'm glad I gave him a call, I will definitely use his service again! Thanks again Bill!." " just moved and noticed that my white tile roof was nearly black, i googled pressure washing services and found bills pressure cleaning. i gave bill a call and ask if he would come look at the roof and give me a price on what it'd cost to have it cleand and also said he does a house clean for free with any roof job. surprisingly he said he come out today.i was very happy i didn't have to wait, 2 hrs after i gave him a call he showed up to give the estimate, ive never had any company show up that quick! very impressed.any way we settled on a price and started work next morning, they were very quick but did an excellent job.another thing i was impressed with was they cleaned the whole roof without ever once stepping on my roof by using there chemical.bottom line i recomend everyone to use bill and know i will be telling my friends and calling you next year thank you bill "
" i call this company when i was looking to get my pool cage cleaned last week. i spoke with bill on the phone and he was able to look my house up on google and give me a price right over the phone which i liked alot, i didn't have to wait.he only charged 99$ and did and excellent job.will use again next year.."
" I had my driveway and pool deck all pressure washed within one day and it looks great! It was definitely worth the money and Bill's hard work satisfies your needs. He's reliable, fast and efficient. He knows what he is doing and his work process wont effect your landscaping. Presents himself professionally and uses his own equipment. I do recommend him to any type of pressure cleaning and guarantee you’ll be satisfied! Excellent price for excellent service!" " This is a revision to my previous review. I have to say that Bill is absolutely a man of his word. We had him do a cleaning at the house that could have gone better. Everyone has a bad day once in a while. But most people don't go as far above and beyond to make things right. I have to say that if everyone was as honorable as Bill, there would be no reason for a review system. Thanks Bill, we'll be calling you next time we need the house cleaned!" " Billy pressured cleaned my entire house and it looked like brand new. The driveway and lanai looked great too. I will definitely use this service again. Highly recommended! A+++"
" Had my driveway ,corner of my house its like a rock wall, and my pool deck pressure washed.They did a good job.and real low cost. Definitely will ill use again." " I had my roof, driveway done by bills professional pressure cleaning and was very pleased with how it came out.Very respectful, and nice.i recommend them to anyone needed pressure washing work done. thanks bill, you did a great job." what customers think of us / reviews!
" My pool cage was covered in green and black mold and same with the dock; well more black mold on the dock, so I searched pressure cleaning on Google and found "Bills Professional Pressure Cleaning" and called. That day they came out and gave me a free estimate and then the next they were out cleaning it and done in about 4 1/2 hours and did they do a great job. It looked like a brand new pool cage and cleaned up a lot better then I thought it would, but what really impressed me was my dock, the color of brand new wood was back. Before it was that darker/greenish look to it, it's a year old I think, anyway looked new! I was impressed with work and nice people too. :)"
package deal $499.99 Includes House, Roof, Driveways & Sidewalks!WOW! pool cages $149.99+FREE Pool Deck Cleaning! WOW! We are Pressure Cleaning/ Pressure Washing Company ! We're a Family owned company that takes Pride in our Customer Service as well as our work. Our model is ​and we stick by it. 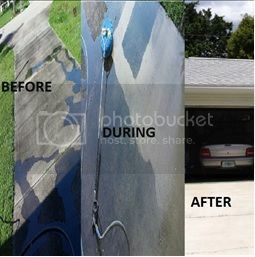 We offer residential and commercial Pressure Cleaning Services for all of Southwest Florida! We clean everything Roofs, Pool Decks, Screen Enclosures, Docks, Driveways, Soffits, Gutters, Fascia Board, Patio, Trailers, Store Front, Restaurants Patios, Garbage Areas, Playgrounds, Sidewalks, Boats and more. we have a few different method for cleaning depending on the job, one is high pressure water, chemical clean , another being acid , rust remover and more. we also other a few other services such as Paver Sealing, Concrete Water Proofing, Roof Sealing, Screen Repairs, Fixing Broke/Sliding Roof Titles and more. Give us a Call today and see how we can help improve your home today! Driveways $74.99 +FREESidewalk Cleaning! WOW! 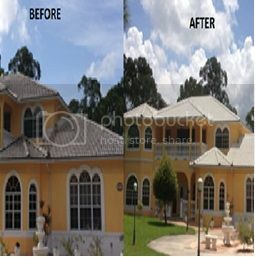 roofs $399.99 +FREEExterior House Cleaning! wow! Pool cages starting as low as $149.99 with a free light pool deck cleaning! 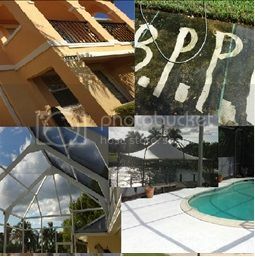 Price based on average pool cages for homes 2000 sq ft and under with concrete pool decks.Ask for details. 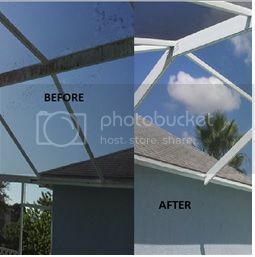 Roof cleaning, Exterior house wash which includes Gutters, Face Bored, Softits and walls around house, Driveway & Sidewalks leading to front door Cleaning.Price based on average one story homes 2000 sq ft and under with two car driveway.. Ask for more details. Roofs starting as low as $399.99 with a free exterior house cleaning! Price based on average one story homes 2000 sq ft and under. Ask for more details. Home driveways starting as low as $74.99 with a free sidewalk cleaning included!Price based on one car concrete driveway not extending more than 30ft. Ask for details. All payments are due on the day of service after work is completed unless discussed before hand! Also for jobs that we require deposits on such as sealing jobs, or other jobs requiring special tools or material, ALL deposit for jobs are non refundable as we had to put money out for the job which is why it is non refundable to protect our self ! Thank you for contacting us! You will hear back within 24 hours. If you do not hear back you can call us at (239) 205-0177. Thank you!